I’m a story teller. I like to start with equilibrium, disrupt equilibrium, and then restore it with new meaning. But for six days I’ve been examining my story, and I’m not sure it bears telling. Still, it’s been said before. I don’t want to just have the experience. I need to know what it means. This article’s purpose is to make sure I didn’t miss a thing. 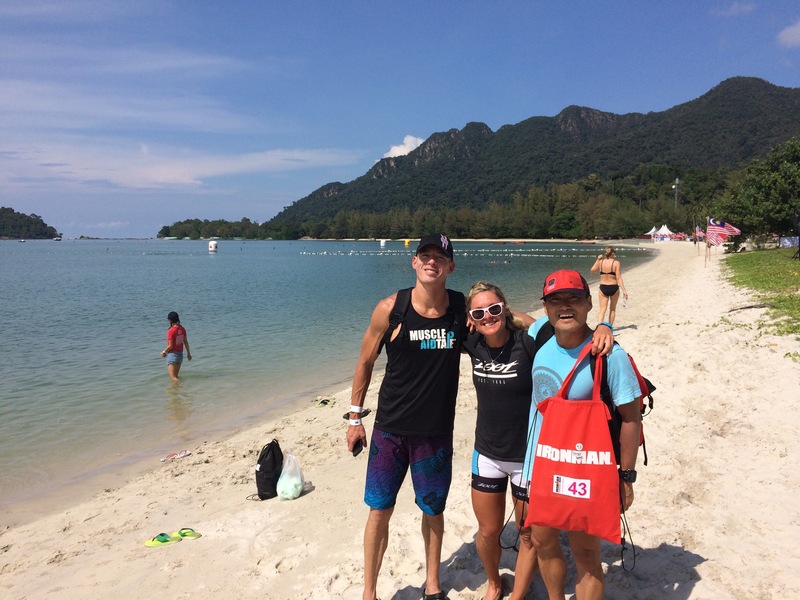 (If you’re searching for an informative race report on Ironman Malaysia, just message me. I’ll give you all the info you need. This article is different). There’s a scene in Tin Cup where Roy McAvoy notices that all the other golf pros are laying up for par instead of taking a big risk and shooting for birdie. He knows he should do what the more experienced pros are doing, but he also knows (somewhere deep down) that he can make the shot. He knows he should take the risk. So he does. And he fails big time! 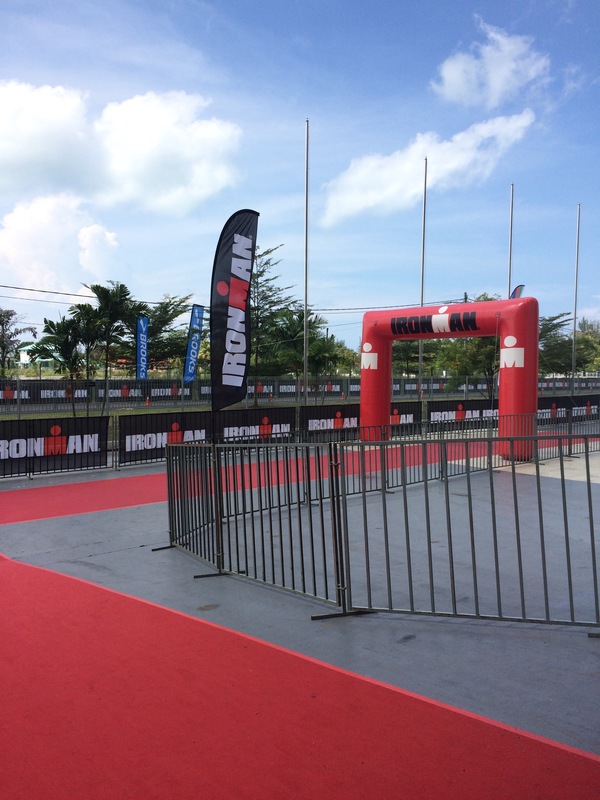 At Ironman Malaysia, the pre-race buzz revolved around how conservatively people were going to take out the bike, as 4500 feet of climbing over 112 miles in an Accuweather “real feel” of 113 degrees could cause a lot of problems for the run. But I had no interest in laying up. Conservative was not part of my agenda. 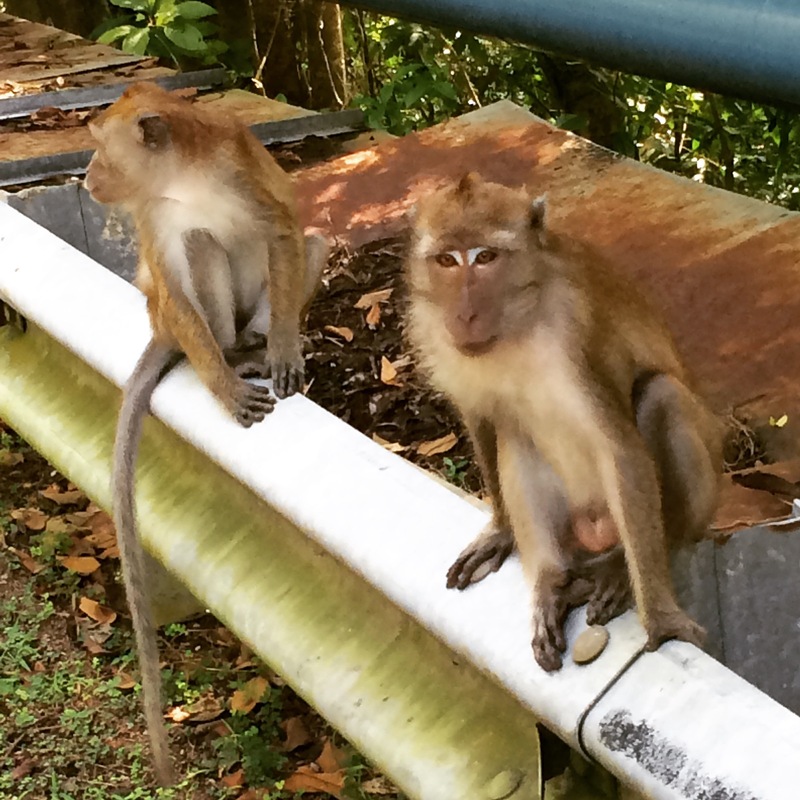 I’ve had bike problems all year, and I really wanted to smash it in Langkawi. So I did. I took it out hard. (For the power geeks, my normalized power was 240 watts). One dude from Norway beat me. But then, in the run — where I typically have a 3:30ish marathon tucked away in my back pocket that I can redeem whenever necessary — I fell apart. 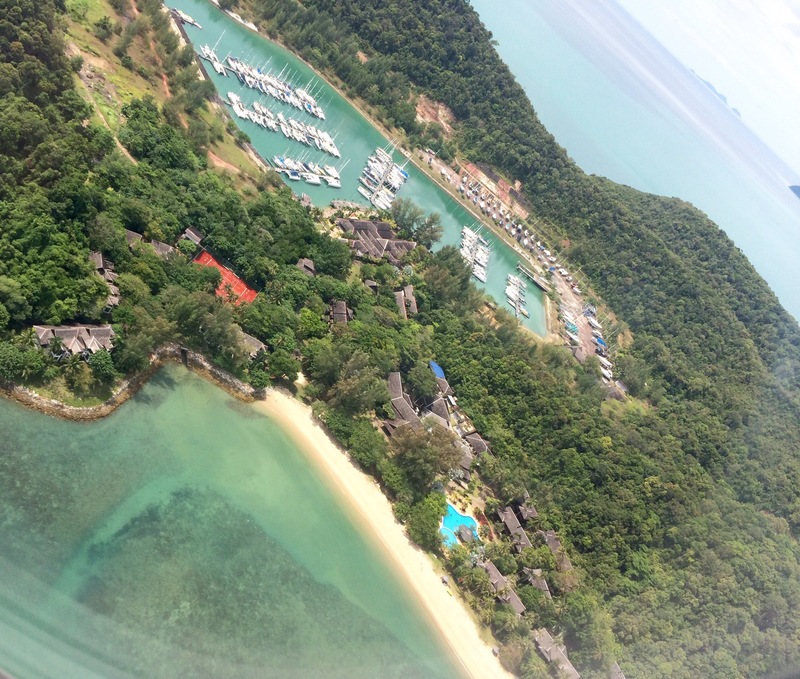 It wasn’t like five years ago in Langkawi when I was on the side of the road, in the fetal position, clutching at my seizing abdominal tendons. Back then, I had all day to finish. Back then, I wasn’t racing. 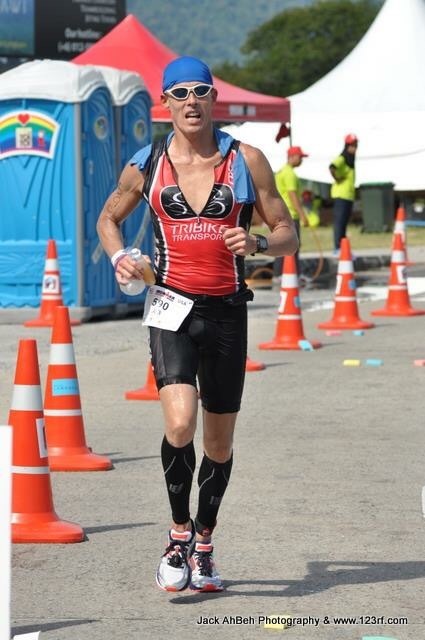 This time I was racing for a Kona slot. 1st place in my AG would guarantee it. And as long as I ran a smooth, easy, 3:30ish marathon, I’d likely win my AG. 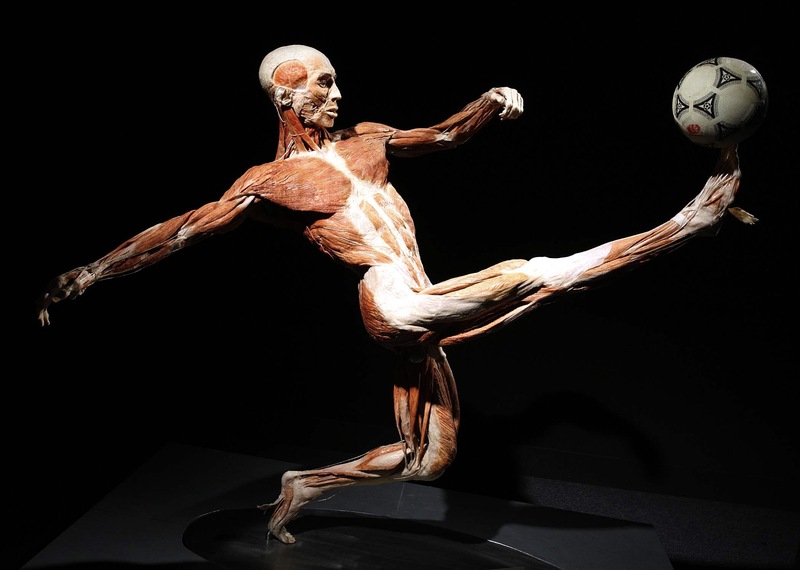 If you’ve ever been to Body Worlds, and you’ve seen the skinned human with all of his muscles and ligaments and tendons on display, then you’ve likely marveled at how many things must go right in order for our bodies to function correctly. And of course, you may have marveled at just how many things could potentially go wrong. Well, I maintained a perfectly good pace until mile 16 of the run. 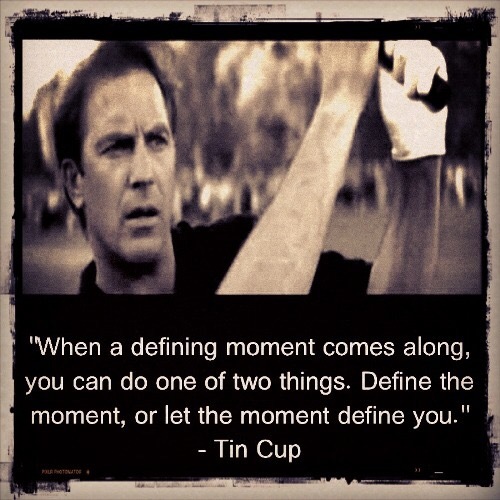 Then, like we see in Tin Cup, I didn’t just fail. I failed HUGE. So now I’m walking in Malaysia. I’d reached a place where I could only run for 200 yards or so before I needed to walk, lest I seize up, fall over, tear muscles (plural), and do irreparable damage. My friend Keish would say I simply needed to drink some apple cider vinegar to reset my neurons. And while I don’t know what that means, he’s probably right. Anyway, for the sake of brevity, I was overtaken by two racers in the last 10 miles, so instead of rising to the top spot, I fell to 5th. I did manage to hold it together — that is, I managed not to slip any lower in the rankings. But when I crossed the line with a 4:13 run split, I wasn’t much different from the guy in a damaged dinghy with a busted hull and a broken mast, cupping his hands to heave water from a boat that is flooding . . . sinking. And I suppose just as we can’t avert our eyes from a traffic accident or a stock market crash, I chose to go down with the ship. (I decided to attend the Kona roll-down). Keish suggested that a Gaussian distribution would place the Kona slot-allocation at 5 slots for AG 40-44. I don’t know about Gaussian distributions, but I know that Keish does. And his words were my distress signal, a lone flare reaching for stars that had already expired. His words gave me hope. The next day we sat in the air-conditioned convention center, flanked by international flags and Kona hopefuls. 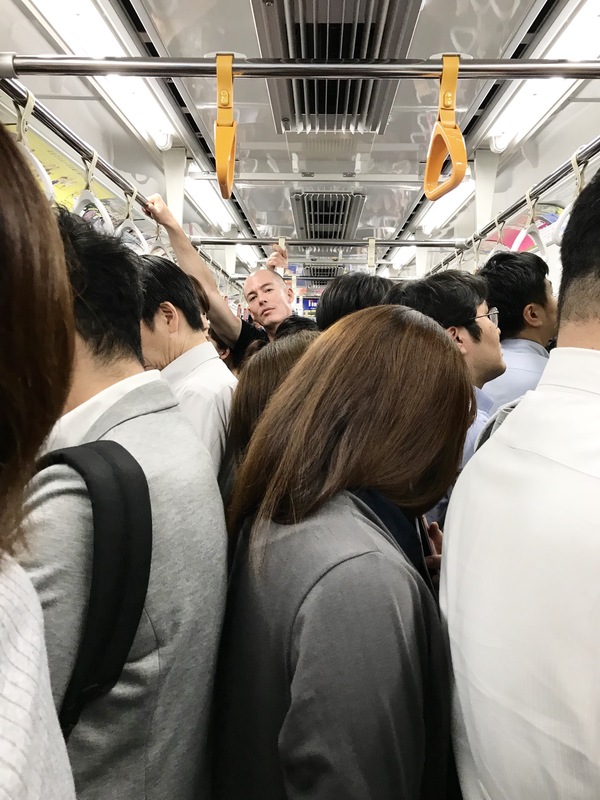 And then it became clear: AG 45-49 would get 4 slots. AG 35-39 would get 6 slots. And . . . [insert drumroll] . . . AG 40-44 would get 4 slots. Keish said it wasn’t really Gaussian. I was disappointed. 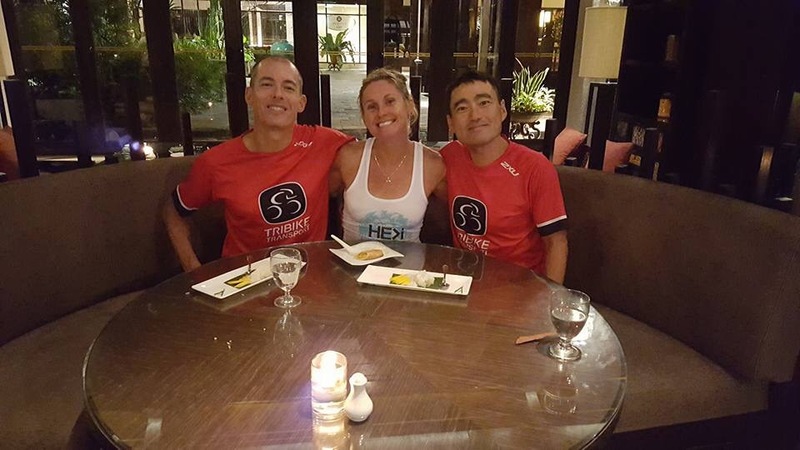 Despite all of the things going on around the world that most definitely trump a slot to Kona, the message is fundamental: you had a goal, and you didn’t attain it. Maybe the more haunting message was this: you did your best, but your best wasn’t good enough. Of course, Michelle says I’m hard on myself. But I couldn’t stop thinking that 5th place was the first loser. It’s like the 11th-place pro in Kona. You’re the first out of the money. When I was a kid, I was fairly competitive. There were a lot of soccer games, baseball games, video games. And while I don’t remember how long I’d sulk or stew after a loss, I do remember believing in one mantra: practice makes perfect. So I’d limp back out to the driveway with nothing but a soccer ball and a retaining wall. 100 touches with my left foot. 100 passes with my right. Repeat. And if it were a different season, I’d have a glove, a ball, and that damned retaining wall, taunting me, mocking me, inviting me to become better. (Of course, if the loss revolved around a video game — Tecmo Bowl, for instance — and if it was my younger brother who beat me, the solution was simple: reset, and start again). Malcolm Gladwell posits that one can become truly great at something once he or she has met the 10,000 hour rule. In other words, once you’ve spent 10,000 hours honing your craft, you’re likely to be quite good. I’ve done a lot of triathlon training since 2001, but I’m not convinced that I’ve reached 10,000 hours. People talk about “triathlon age,” which is sort of like dog years. We say “sure, Killer is a 10-year-old dog, but that’s like being a 70-year-old human”. 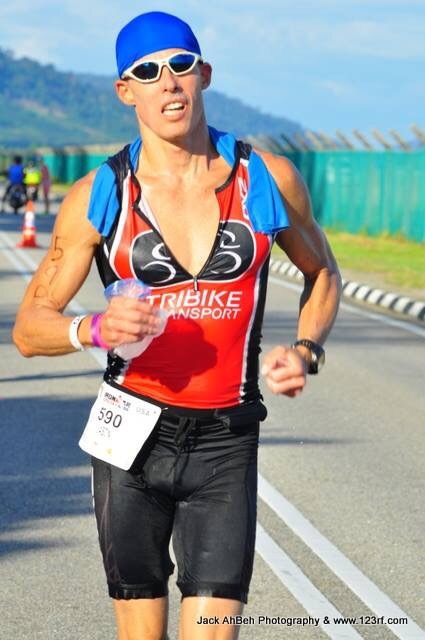 There are pro triathletes, like Sebastian Kienle, whose triathlon age is quite advanced. 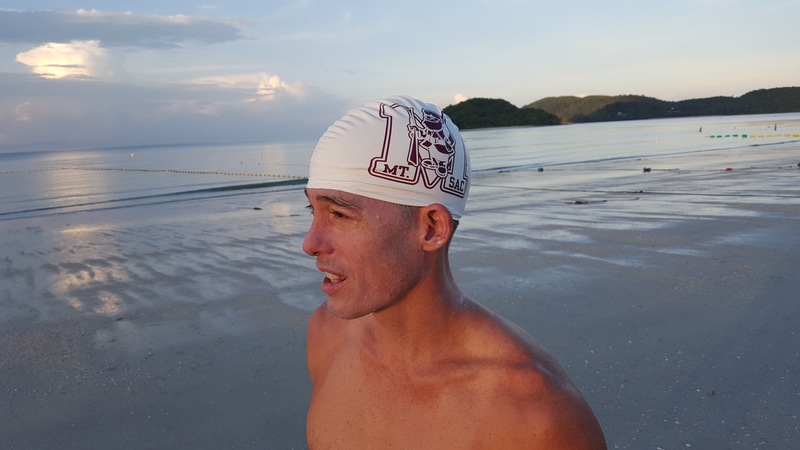 He started his triathlon training when he was 12. He’s now 31. 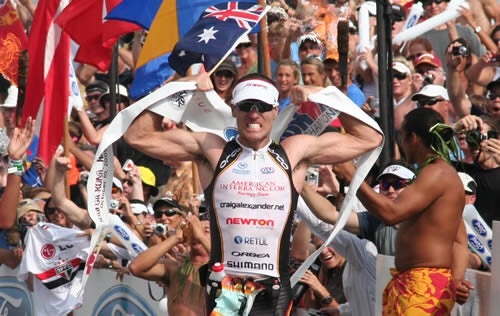 Other pros, like Craig Alexander, didn’t start training for triathlon until age 20. 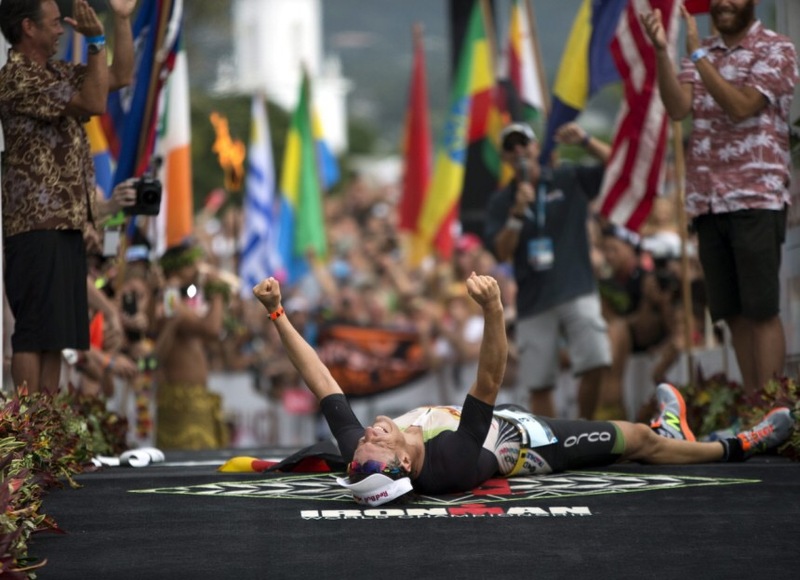 At age 38 he became the oldest person to ever win the Hawaii Ironman. 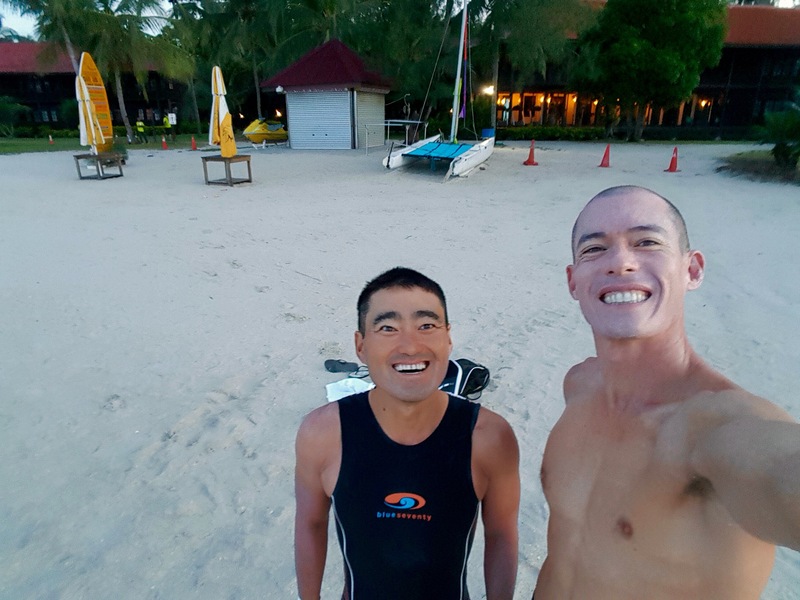 What I’m suggesting is that someone who’s never done any serious endurance training (whether 12 years old or 50) may have such a young triathlon age that the next 20 years might be met by breakthroughs and advances, not declines. And I suppose if I turn the mirror onto me, perhaps my triathlon age is on the verge of peaking, building its way to a perfect storm. There still might be some big waves out there. It’s probably not the best time to hang up my board. Not yet. 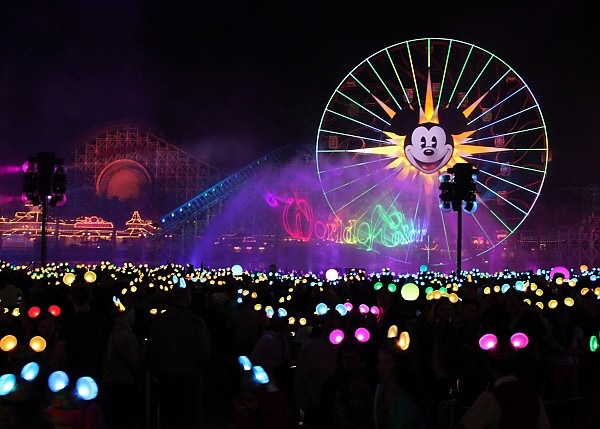 Last night I was at California Adventure, watching Disney’s World of Color. I think, in my adulthood, I’ve basically designed a template to replicate my childhood. I splash around in the pool, I ride my bike with friends, I run. And then I go to school. So while I considered finding a new hobby — and maybe a different lifestyle — I’ve decided to just take it easy for the next few weeks. I’ll hit reset, and then start a new game. I’ll go looking for that retaining wall from my childhood. And when I find it, I’ll limp out, greet him like an old friend, and see where he takes me. Right now, when I close my eyes, I can see him pointing — he’s Babe Ruth, calling his shot — aiming for an Ironman in South Africa, Australia, and of course, Kona. Thanks for all your support. See you next year.